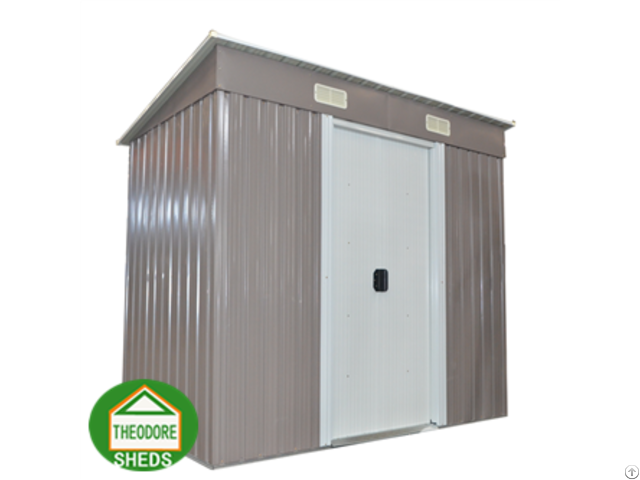 Pent roof sheds are a great design to go against a building with the roof sloping away to ensure water does not sit on top of the shed. The great benefit of the pent roof sheds is the roof design. The roofing on a pent roof shed has a slight slope and is almost flat in shape. This design feature ensures that rain drains off the roof and prevents any damage such as rusting or light deterioration. 0.3mm color plates, 0.6mm zinc steel sheets.